First on Media Newser Philippines: TV5 is about to make some major changes to its morning lineup following the announcement last week that it would collaborate with sports giant ESPN. To recap, under a multi-year deal, the Kapatid Network will partner with ESPN across television and digital platforms for the rebranding of its sports arm, Sports5, to ESPN5. Now, sources tell us that one of the first casualties from the said ESPN deal is the morning news program Aksyon sa Umaga, which will be canceled sometime in November. The program, which is being headed up by longtime TV5 anchor Cheryl Cosim, will be dropped from the network's morning grid as it plans to clear its lineup in preparation for the simulcast of ESPN USA's primetime programs. 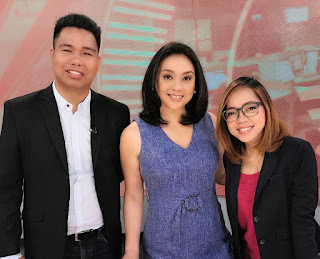 Aksyon sa Umaga first aired in 2014 as part of the network's efforts to strengthen its "Aksyon branding." Originally anchored by Lourd De Veyra and now-Presidential Communications Operations Office Secretary Martin Andanar, the program eventually had the likes of Erwin Tulfo, Paolo Bediones, Grace Lee and Manu Sandejas as co-hosts. Cosim, who previously anchored both Aksyon Prime and Aksyon Tonite, took over in April of 2016 and was originally joined by legal analyst Atty. Mel Sta. Maria, who left just a few months later after the network decided to switch to a single-anchor format. Correspondents Jeff Caparas, JV Arcena and Mae Anne Los Baños were later added as contributors to the program.